The implementation approach of using minNumberShouldMatch is clever. Any idea if it seems better/faster than caching bit sets? 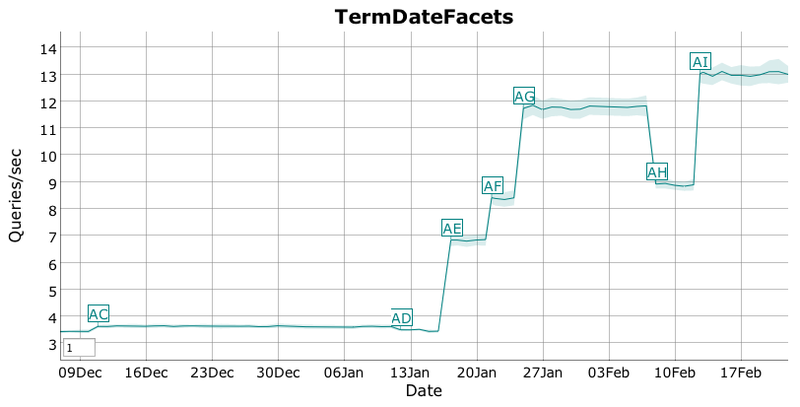 My gut opinion is that bitsets will be faster, albeit require the memory (of course). I'm also curious about the performance tradeoffs, but I haven't tested. It'd be nice to separately test bitsets approach without caching, and bitsets approach with caching. I am building a site for my client on IBM WebSphere Commerce. WebSphere Commerce currently uses Apache Solr/Lucene 3.5 version... therefore we won't get the Drill Sideways faceting with Lucene in it. 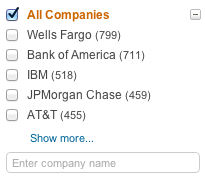 Is it possible that I can customize the WebSphere Commerce search to also include the Drill Sideways? Can you tell us what things do we need to change in order to get Solr 4.4 Drill Sideways functionality in Solr 3.5? Solr has its own faceting implementation, separate from Lucene's faceting module, and it supports something equivalent (I think?) to drill sideways, which is called multi-select faceting. You'll need to pass filters for each dimension, and then exclude each dimensions filter when computing facet counts for it. See http://wiki.apache.org/solr/SimpleFacetParameters#Multi-Select_Faceting_and_LocalParams for details. Also, 3.5 is quite old at this point ... best to upgrade :) 4.5 is right around the corner. Really appreciate if you could add me on my Skype.. I would have to get a good approach on doing so from you. Meanwhile I will continue my readings on the above said wiki. I wondered is there more B2C cases for single selection drillsideway facets? jirasearch and search-lucene.com don't seem like "real life examples". Hmm how about amazon.com? Search for cameras, drill-down e.g. on resolution and you still see the other resolutions (with their counts), and the counts update correctly even if you drill down on another dimension like Brand. Absolutely. You help me so much once again! Drill sideways forever! doc.add(FecetField( "Something", "Some value") .. so the point is if ti see the same "Some value" in the same doc again i want to increment facet count (to be Something - Some value(2) for that doc). can i achieve that? from some exceptions i saw something like .isseen or something so i assume it won`t allow duplicate for that doc but still...? Maybe you could do something hacky, like if the same value appears more than once per document, attach a unique suffix during index, and then remove that suffix & combine counts at search time. Maybe share more context about what you are doing / why you want to count the same value more than once? The facet gathers firm names from contracts. Some firms have more than one "positions" in contract along with other firms. The firms are not known in advance which is perfect fit for facets to "discover" them but I want to know the exact counts. Some advice? after thinking for a while there it will be nice to explicitly pass the facet a Int to be accepted for a value, and provide the count by any means of user implementation. like IntAssociationFacetField. Note Its marked experimental. I built a application using lucene 1.4. Now I want to add facet module to it. 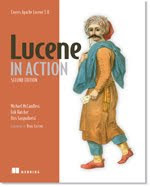 is it better way to upgrade lucene or just adding the facet module to older code.